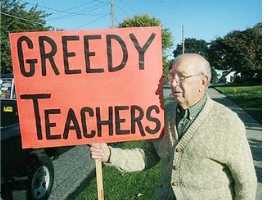 Some might call the war on our state's teachers, waged this year by the new Republican majority in the NC General Assembly, "piling on." That's the term suggested by Rob Christensen. What's piling on, anyway? Who indulges in it? Cowards and bullies, almost exclusively.